The Furniture Classics 40-57 Biela Sideboard is available in Hickory Park's, North Carolina Furniture Galleries. Hickory Park may be restricted from showing prices, however please select the Click For Quote button and Hickory Park Sales and Design Staff will reply or please call (828) 322-4440 for more information. 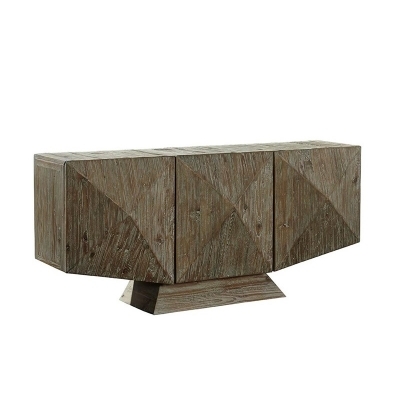 An amazing piece which exploits the rules of geometry, this stunning sideboard features a soft grey wash over recycled pine which enhances the unique pyramid design of the doors The doors pop open with just a touch, and there is a shelf behind each door. Amazing anywhere, this piece would also make an eye-catching media console! 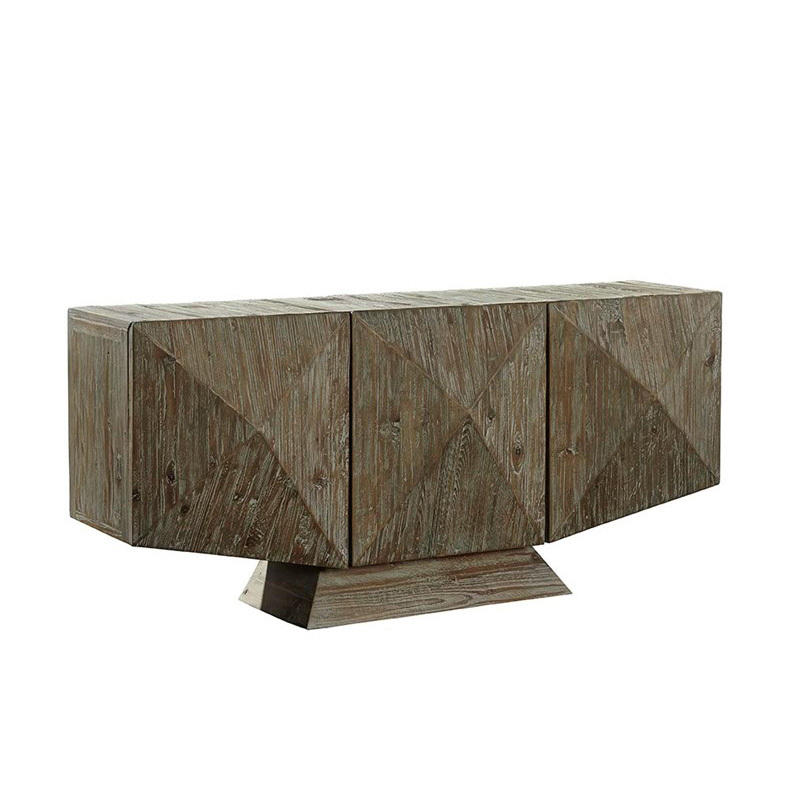 Click here to receive price quote for Sideboard 40-57 item.